This cute cat loves his nightly routine. 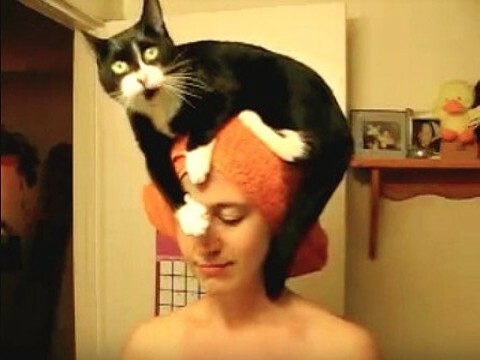 Every night after her human takes a shower, he sits on her head while she brushes her teeth. No one believed this woman until she made this video. Here is the proof.